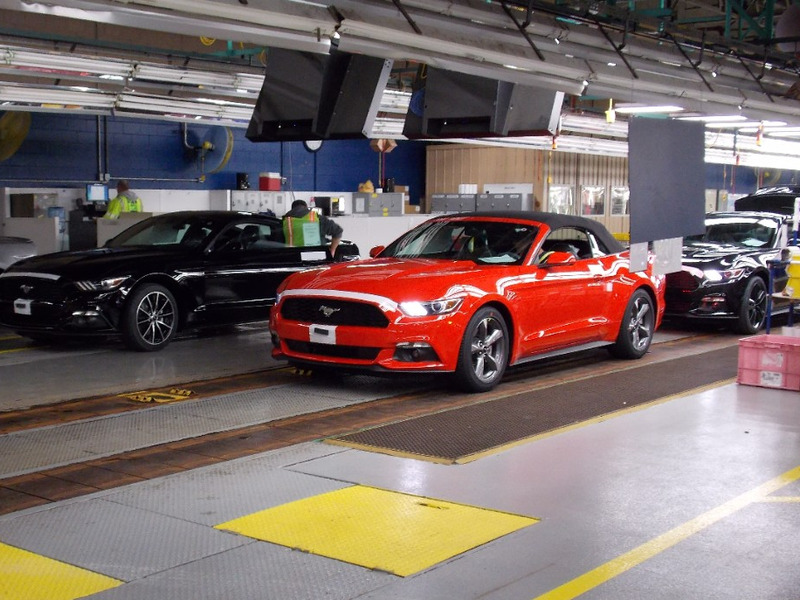 BRIGHTON, Mich. - As if the 2015 Mustang arriving to dealerships in October wasn't exciting enough, next week the 2015 Mustang Convertible is headed to Ford Dealers nationwide. While it may seem like an odd time of the year to offer the drop-top pony car, Ford is confident that the Mustang's available heated seats, remote start, and snow/wet drive mode will help customer's get through any weather the winter season may bring. Heated and cooled seats are a standard on the Mustang Convertible, allowing the driver and front passenger to stay comfortable no matter what the temperature may be. The remote start feature is also a standard on the model, enabling customers to warm up their drop-top from inside their home or the office. This feature not only fires up the Mustang's engine, but also warms the interior of the car to a comfortable temperature. And most important of all, the convertible's wet/snow driving mode adjusts the throttle response, steering effort, and traction control to minimize wheel spin and maximize vehicle control. Who would have thought that such a sleek and stylish convertible would make a great vehicle year-round? Stop by the dealership to find out when you can expect to find the 2015 Mustang Convertible in our showroom! Brighton Ford is located at 8240 Grand River Ave. just north of I-96 in Brighton. We are a family owned and operated business that strives for customer satisfaction. For more information on Brighton Ford visit BrightonFord.com or give us a call at (800) 836-7417.